Peace of mind. That is the first thought that comes to mind after doing business with Stefani L Antonson. Her innate nature to help navigate complex decisions with large purchases has been her reputation for over a decade. She has had the privilege of doing business from coast to coast but, having been born in Washington where she spent her formative years, is thrilled to work towards her goals of having unparalleled knowledge of local Real Estate here in Tri-Cities Washington. Growing up with 9 siblings, yes 9, she has outstanding communication skills. With her undying optimism, in times of great struggle Stefani has persevered. Stefani is also the proud mother of three beautiful, bright boys, Damien, Roman, and Landen. An avid adventurer, and writer in her spare time, she also supports the humane society and habitat for humanity. She believes there is no greater cause than simply remembering to be human. From furnishing your home, to finding the perfect engagement rings and new cars, she is excited to begin her journey of continued seamless transactions with real estate. Despite having studied Applied Science, her passion remains in creating profoundly happy memories in sales. Building strong relationships with buyers, sellers, lenders and investors, is a leading factor in her award-winning client services and sales accomplishments. 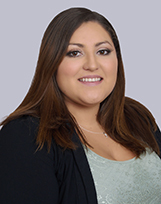 Stefani is currently contracted as a real estate agent with Berkshire Hathaway in Richland, Washington. Whether it’s your first, second, even your fourth home or a business venture, you'll look forward to working with her again and again.